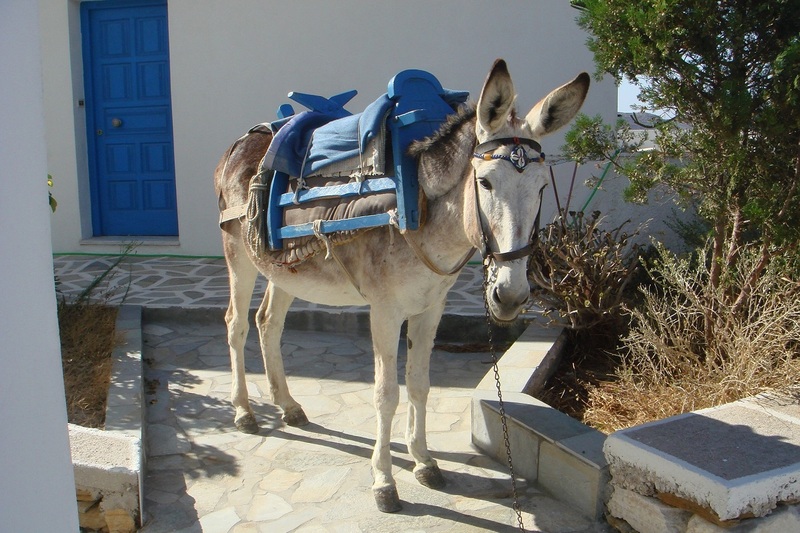 True to its pledge to protect Santorini donkeys used to transport tourists up the steep incline to Fira, the island’s capital, Greece issued a directive in August which prohibits the transport of heavy travelers by equines. After being slammed by animal welfare groups for the ill treatment of the animals, the Greek agriculture ministry proceeded to take action amending Law 1197/81 (Α΄240) articles 1, 3 and 5 by which individuals weighing over 100kg will no longer be allowed to be taken up the steep Santorini cliff via donkey ride. 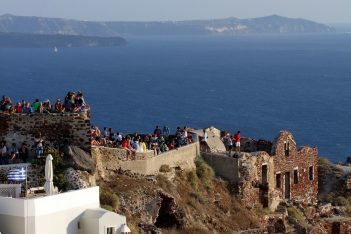 Animal rights groups were up in arms in July over the decades-long practice, which as they argue due to the rising obesity rates as well as to the increasing numbers of tourists arriving to the Cycladic island every day was leading to heavier loads and higher demands putting the animals at risk. 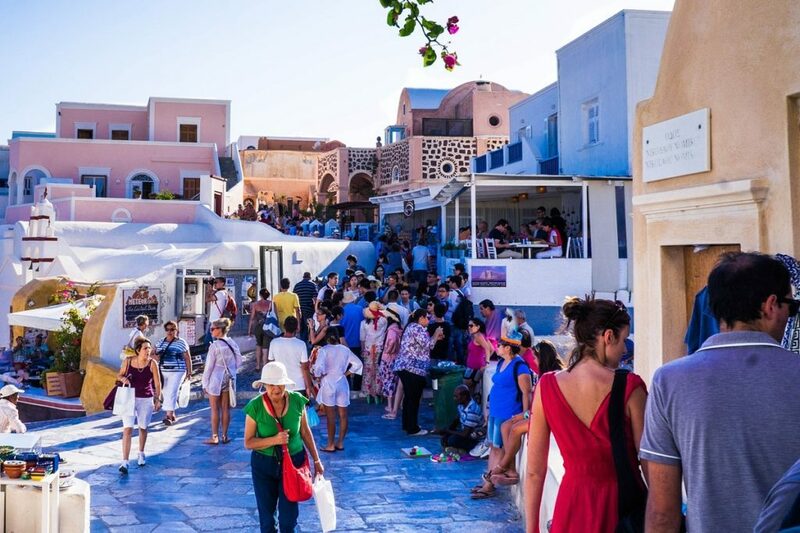 Santorini has repeatedly come into the international spotlight for its lacking animal welfare despite having signed an international code of practice for working equines. Under the new measures, animal owners are required by law to enforce the weight restriction, microchip all animals, ensure regular veterinary support and rest periods, keep the animals in the shade, provide plenty of water and food as well as proceed with the creation of a list of violating donkey owners so that the necessary penalties be imposed. In the meantime, authorities have said that inspections will be carried out to ensure the law is being implemented. Violators, according to the law, will face at least one year in prison and a fine of up to 15,000 euros. 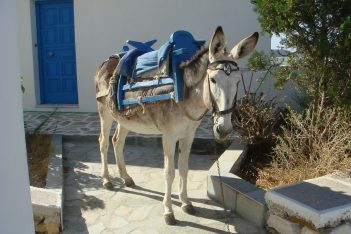 Donkeys and mules were used in remote areas of Greece decades ago as the only means of transportation in rugged terrains. The practice continues today on the islands of Santorini and Hydra, where hundreds of tourists line up for a ride.